How do we define an e-reader? How do we define e-reader anymore? Or the term e-reading device? I ask this in all seriousness, because I think the way the terms are being used (or mis-used, as the case may be) creates a lot of confusion…. During CES2016, there was a lot of coverage about the new Samsung “Super Fridge.” The fridge featured cameras and a touchscreen and would allow you play music, stream TV, check if you are out of milk and even order groceries. Everybody was talking about this thing. It has been mocked and joked about on the Internet. This refrigerator is, in a way, both the poster child for everything the Internet of Things has the potential to be and, simultaneously, a symbol of status and decadence because of its expensive price tag. Not surprisingly, shortly after the first announcement of this “Fridge of the future,” ebook blogs Teleread and The Digital Reader both asked the question, “Can you read books on it?” After, all isn’t that one of the first things we ebook lovers think of when we see shiny new electronic things? Now, most people would probably agree that it is a stretch to call a refrigerator an e-reading device. But what about a phone? A lot of people read ebooks on their phone. So much so that I frequently see articles that refer to phones as e-reading devices. And this isn’t new. It used to be that when someone referred to an e-reader, they meant a dedicated device, probably e-ink, that was used almost exclusively for reading ebooks. Over the last few years, that definition has gotten quite a bit looser. In 2014, I wrote a post questioning the appropriateness of calling an phone an e-reader. I wrote that piece when some article noted that apple had released a bunch of new e-readers. They were actually iPhones and iPads, not dedicated e-readers. Please don’t get me wrong. Reading on cell phones has totally revolutionized the way we are able to read. But there is no getting around the fact that that device’s primary function is to be a phone, not an e-reader. The fact that it is capable of e-reading is definitely a bonus factor. But just because you CAN read ebooks on a device like a phone does not mean that we should call it an e-reader. So what’s the problem with calling a phone or a an iPad or any other tablet an e-reading device? In my opinion, quite a bit. Every few weeks, somebody writes a piece with a variation on a title like “Why print books are better than ebooks” or some such… Michael Hyatt’s Why I’m Putting ebooks on the Shelf for 2016 is one of the latest of these making the rounds. The problem with these pieces is that often, the points the article makes about ebooks really apply to a particular kind of device and not e-reading in general. How many articles have you read that slam e-readers for the blue light or the backlight that keeps someone awake at night? What about all the distractions that keep you from reading or complaints how difficult it is to take notes on a device? Each one of those questions has a different answer, depending on the device we are reading on. But the fact that all of these attributes is linked to the generic term “e-reader” can cause a great deal of consumer confusion. If you are extremely tech savvy, the distinction probably doesn’t matter. But if you are someone looking to purchase a device, believe me, the definition does matter. I can’t tell you how many conversations I have had with someone who says they are looking for an e-reader. When I question them about what they want to do with the device, it becomes quite clear that what they are really looking for is a tablet that they can also use to read ebooks. As pundits begin to question whether the time has come and gone for dedicated e-readers like the Kindle or the Kobo or a Nook, I think the term e-reader may face even more scrutiny in the long run. Even as more and more people are reading ebooks, we are ultimately going to need to have a clearer terminology about just exactly what we call an e-reading device. It is made even more complicated by the fact that we don’t quite know what to call devices like the Nook Color, the Samsung Nook and the Kindle Fire. Are they e-readers because you can read on them? Are they tablets because they have apps? The terminology is confusing. If anything that we can read on becomes an e-reader, then how do we differentiate? It is a conversation we need to have. And, as more and more devices become part of the Internet of Things and become both Internet enabled and digitally interactive, we are going to need new terms to define those objects as well, particularly in terms of ebooks and e-reading. Otherwise, life is going to get pretty confusing as more and more of our lives become digitally connected. So here I am, thinking about that Super Fridge as the symbol of my e-reader definition problem. Not long ago in my post, Are you having a problem reading?, we talked, in passing, about the the concept of digital distraction. How distracting will this new refrigerator be if it streams my favorite episodes of Buffy the Vampire Slayer or plays my favorite Pandora station while I am cooking dinner? As a lifetime reader, I cannot tell you how many meals I have scorched, burned, or otherwise been forced to salvage somehow because I had my nose stuck in a book. To tell you the truth, I am not sure I would want a refrigerator I could read on in my kitchen. And when every device in my kitchen becomes an e-reader, I have a serious temptation problem. Can you imagine the breakfast table of the future? There I’d be, waiting for somebody to update my cereal box and worrying that my ebook was getting soggy. Thanks, but no thanks. How about you? How do you define e-reader? This entry was posted in eReaders and tagged cell phone reading, ebook, Fridge of the future, Musings, Samsung. Bookmark the permalink. Thanks for the link at TeleRead. I’ve returned the favor. Personally, I think that the overly broad use of the term leads to confusion, especially when talking about the devices and their strengths and benefits. Just today, I read an article that referred to an app as an e-reader. In this instance, the context was clear. In a headline like “60,000 new e-readers released,” clarification would help, especially for those who aren’t tech savvy. Interesting conversation. I just bought an Ipad that I wanted for both internet use and as an e-reader. I have had an old Sony e-reader for years and it is slowly dying, so I invested in an Ipad where I can do more than read books. 🙂 Sounds like you knew exactly what you wanted.! I found it interesting that you used the term e-reader to refer to function with the iPad and as a dedicated e-reader to refer to the Sony. Do you use the terms differently depending on function? I have both as well, so I am not advocating that the term just be used for dedicated e-readers like the Kindle. I found myself surprised at how much I liked my Fire HD 6 for e-reading. I think it gets confusing when people are talking about statistics and print versus ebook issues. It makes it difficult to compare apples to apples. Coming at the question from an ebook development angle, it’s been important for me and my shop to distinguish between ereading systems. If it can play an ebook then it’s an ereader. The systems, however, vary and it’s there that distinctions become necessary… especially as we guide authors/publishers through a multi-system QA process. From an ebook development point of view, I totally agree with you. 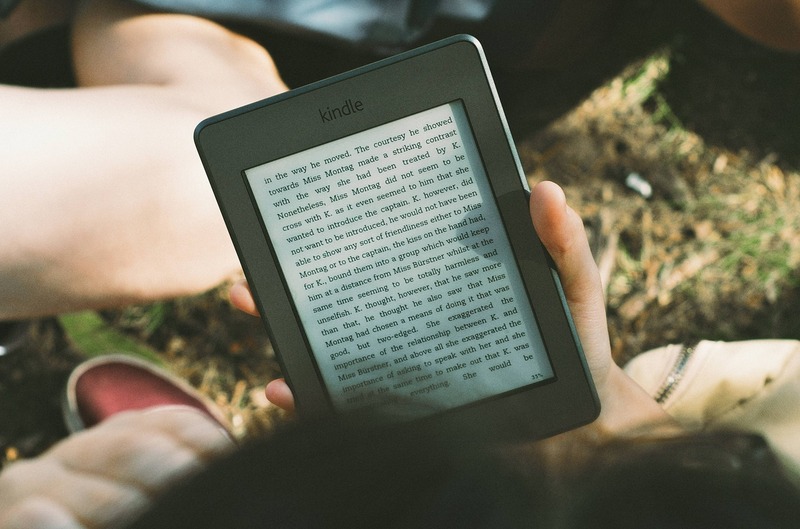 Customers expect their ebooks to work on all their devices. However, I think it is different from the customer side. I still see posts on Kindle forums where people are complaining that their epub books don’t work on a Kindle. 🙂 That’s why I think clarity and definition are important. I agree that Hyatt’s was better than most. I do find that note taking is pretty device specific. I didn’t really get the hang of it on my Kindles until I got my Paperwhite. Part of that was due to changes in the on-screen keyboard. For the Fires and apps, I can use a bluetooth keyboard, so I don’t see them as all the same.